Summer is almost over but here in coastal Virginia the summer heat continues well into late September. This girl is not quite ready to start decorating for fall yet. I still want to squeeze out every beautiful ounce of summer. I’ll just keep pretending that the sun isn’t setting earlier each evening and ignore the fact that the kids will be heading back to school soon. 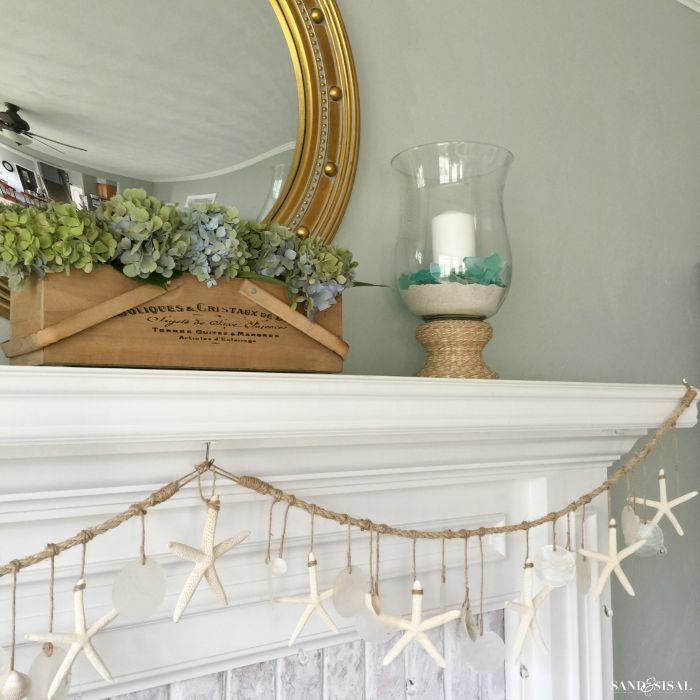 So in the spirit of endless summers, I decided to give our summer coastal mantel a little refresh! 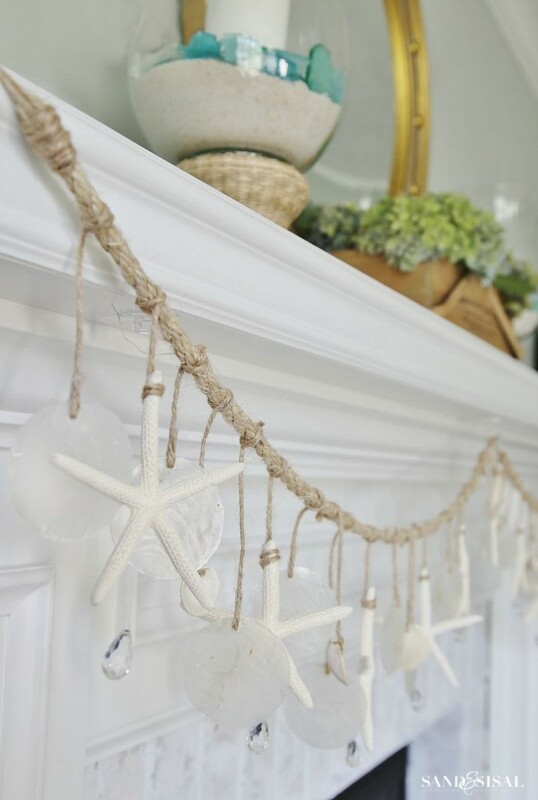 Two strands of sea chimes fit perfectly draped under the mantel. 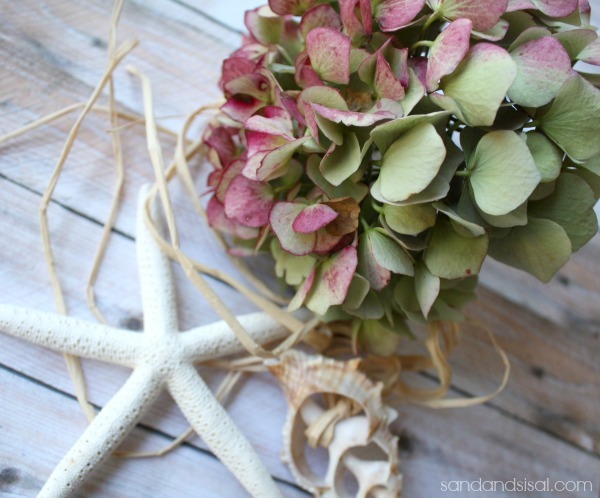 They make the perfect starfish and capiz shell garland don’t you think? I might make more and use them again for my annual coastal Christmas tour in combination with everygreen garland. Most of the hydrangeas in the garden are starting to dry, so I’ve been frantically clipping blooms to prepare for indoor drying. I love all their shades of soft greens and blues. 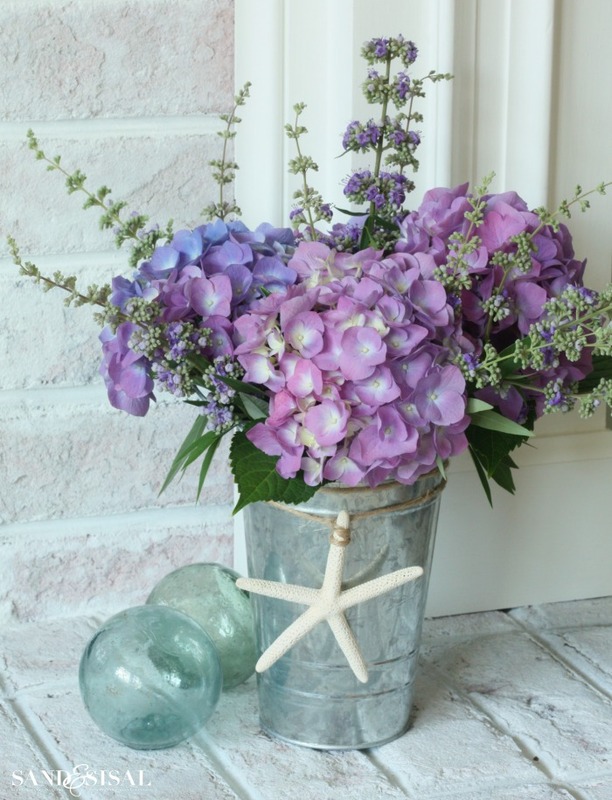 The house has been filled with hydrangea arrangements! 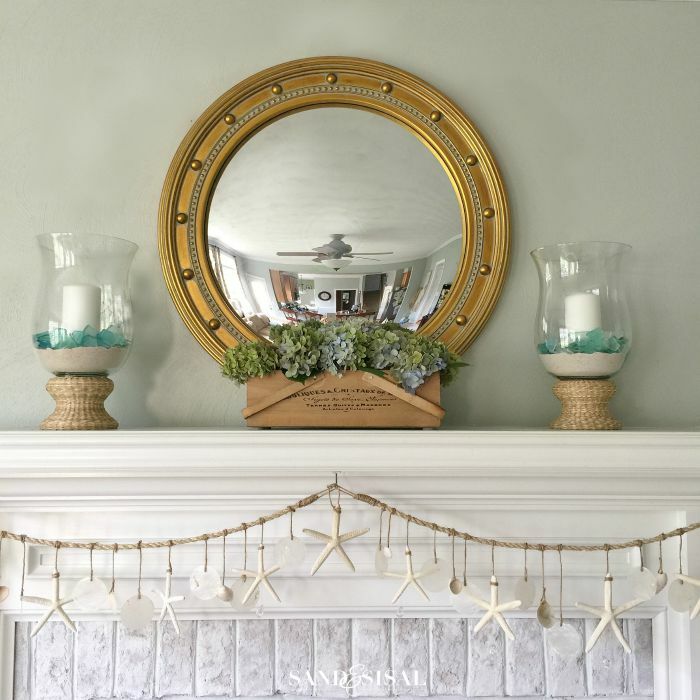 The newest addition to the summer coastal mantel is the convex nautical mirror from Ballard Designs. The mirror reflects a fun fisheye view of the entire family room and kitchen. The bookshelves and coffee table decor stayed pretty much the same. 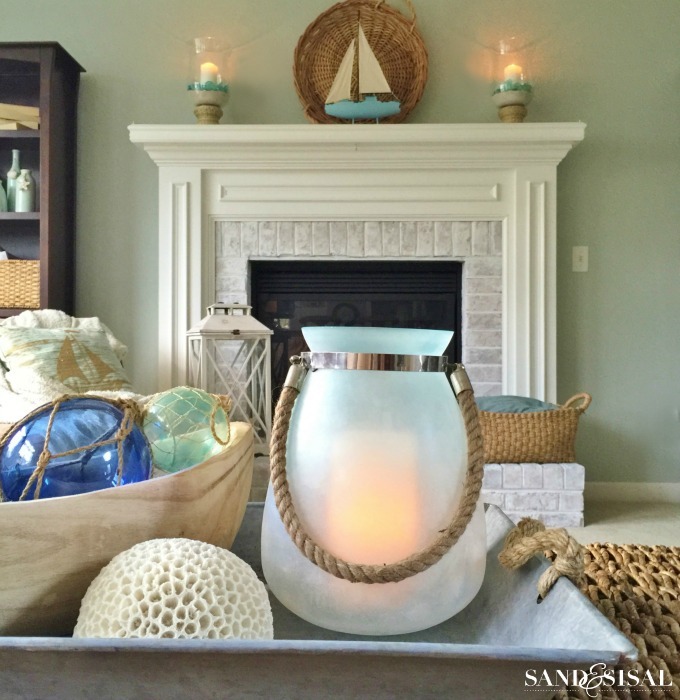 You can see more close ups of those, sources, plus decorating tips in this post: Creating a Seaside Retreat in Your Home. 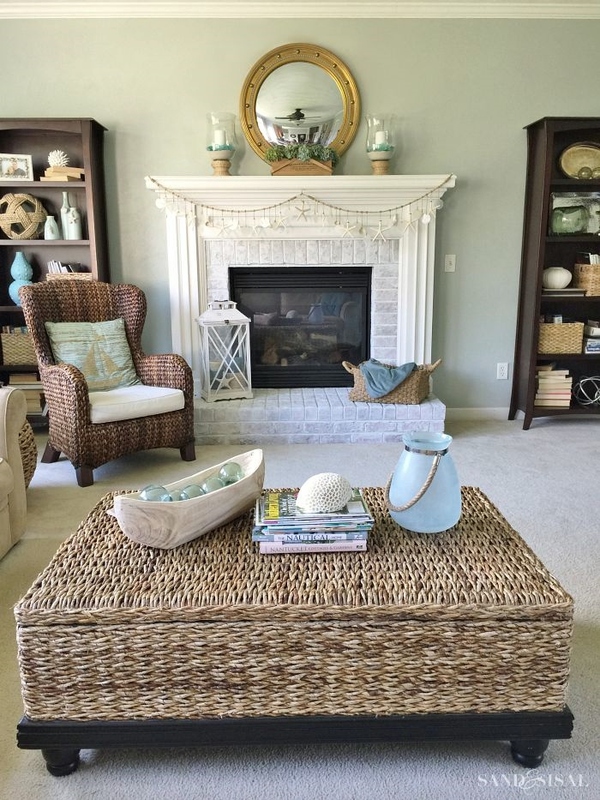 Now that the decorating is done, all I need is a relaxing afternoon at the beach. How about you? Oh Kim….Yes, please keep summer going. I am also one who does not give up on this warm, sweet season until I am absolutely forced to and we have to close the pool for the season 🙁 This week hubby is on vacation and we have been swimming everyday in our backyard paradise, temps have been 90 + ! My hibiscus are just starting to burst out in bloom, wait….I think I hear the Hawaiian music playing. Well, gotta go!!! We are also in the middle of 98 degree weather here in Greece, and it will not start going down till we are in to October. I am really surprised that school starts so early in the States. Have to hold onto vacation time for as long as we can! Your coastal mantlel does just that. I’m with you…summer is NOT over. Here in Oklahoma, we are in the 100’s. I can’t even think about Fall decorating when we are swimming and sweating all day and night long. Besides, I don’t want to yet, either. I really love having the kids home and indulging in all things “summer”. Bring on the ice cream! Beautiful arrangements as always, Kim! 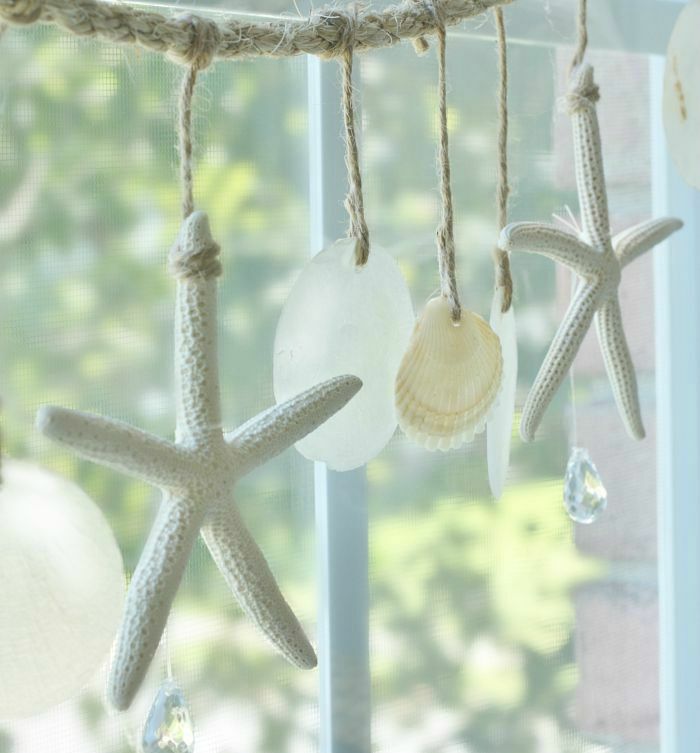 Your decorating ideas feel so refreshing in the midst of all this heat – like they just give you that extra little bit of sea breeze you need to cool down! 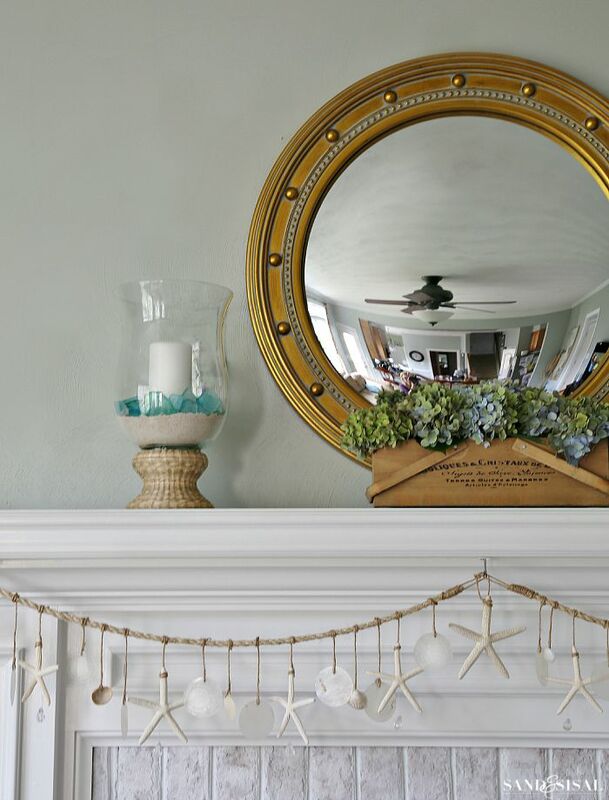 Although I live in the Northeast I love your decorating ideas for mantels. 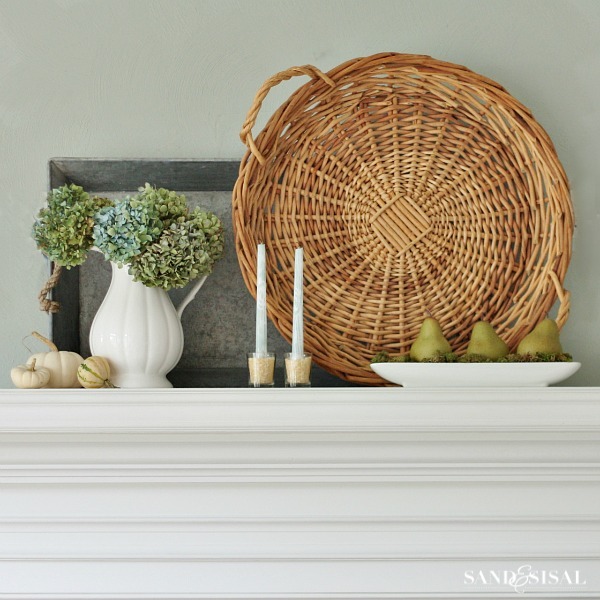 Using green and white pumpkins is such a nice change from orange. You have very simple elegant ideas. 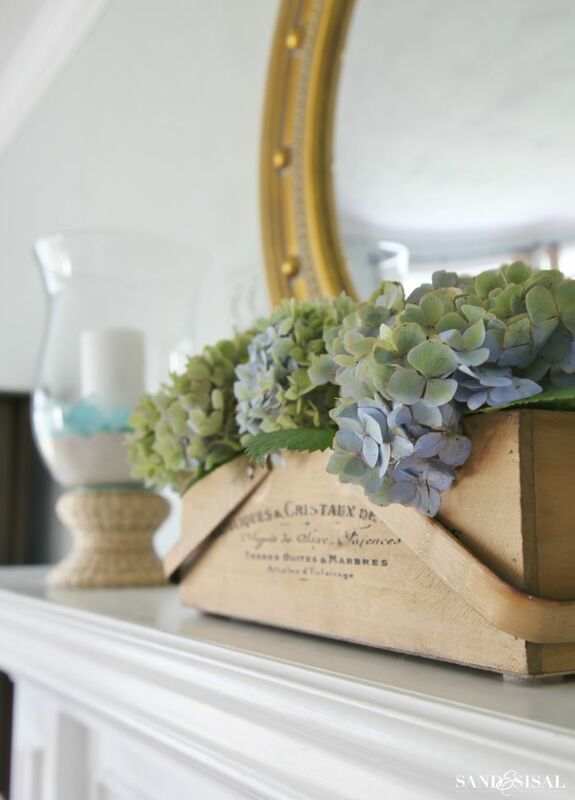 Love all your fall ideas. Thank you so much for your sweet words Shirley! Love this room! You are very creative & I love your style, can you tell me the color of the wall paint? Thanks! Thank you so much Kari! 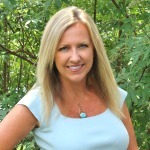 The paint color is Comfort Gray by Sherwin Williams.